My girls are at that age where the sibling rivalry arguments have increased in frequency, intensity and volume. “Worry about yourself” is something that I tell each of them at least three times a day. If they just worried about themselves, then they wouldn’t be concerned with what their sister was doing. create the mental and creative space for you to WORK YOUR PACKAGE! Staying in your lane allows you to master your craft. When you needlessly concern yourself with the “successes” of others, you set yourself up to be a victim of “success envy”. Stop thinking that everything that people put there for the world to see is the full snapshot of their life. They have some pitfalls and shortcomings too. Stop looking at what someone else is doing and automatically think you can do it too. You don’t know what it took for them to get to where they are…but I’m willing to bet they stayed in their own lane. 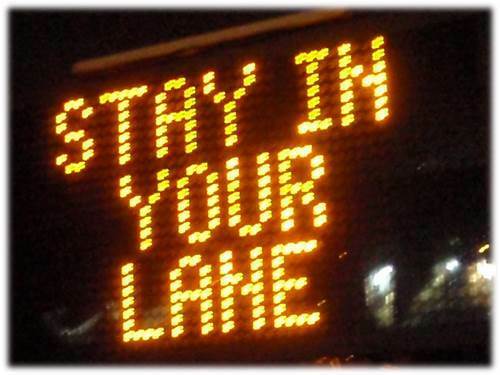 Stay in your lane. Take the time to dig the trench, level the dirt, spread the gravel, pour the asphalt, smooth out the road and paint the road strip. Don’t worry about anyone else’s freeway or interstate. Follow your G.P.S. (Genius Personal Strategy™). 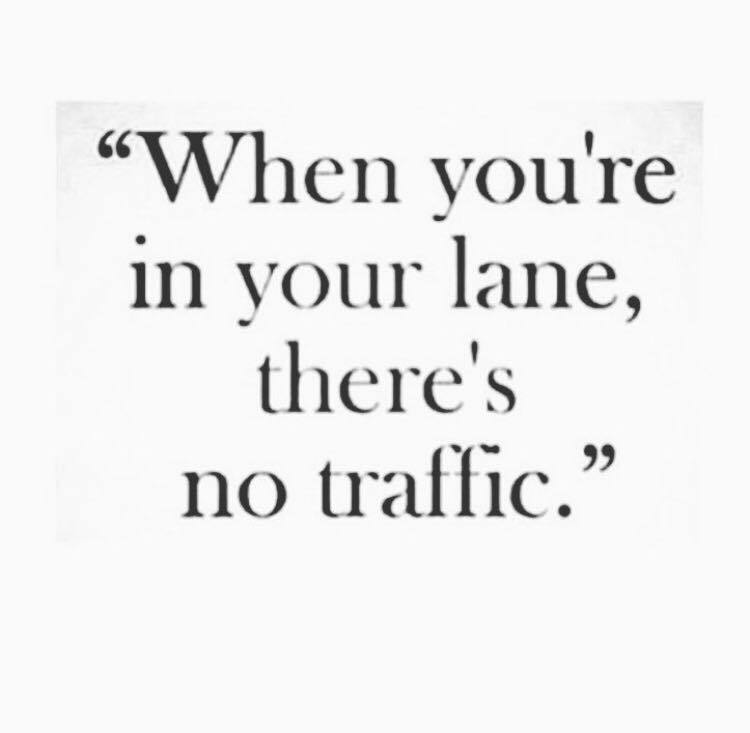 Stay in your lane. And when people wonder how you finished your master’s degree in under two years or relocated from one state to another and everything from your employment to your housing was all set up before you packed a box or you started a business or you got a promotion…tell them you stayed in your lane where there is less traffic and NO speed limit. Everyone Has A Story To Tell…When Are You Going Tell Yours? Stay in Your Lane aka Mind Your Own Business. Great work!